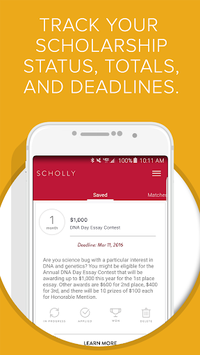 Scholly takes the hassle out of the scholarship search process so you can focus on what’s important - getting free money for school. We have helped students win over $100 million in scholarships so far, making college affordable and dreams a reality. 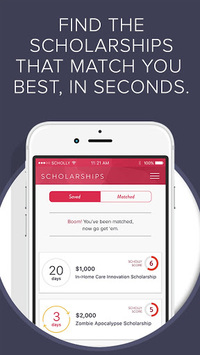 Scholly was created by Christopher Gray who won $1.3 million in scholarships through grit, sweat and hustle. 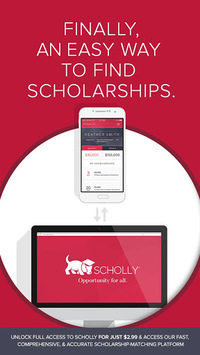 In realizing how broken and time consuming the scholarship search process was, he created Scholly to make things much easier.